A fantastic month with every game and system doing well. 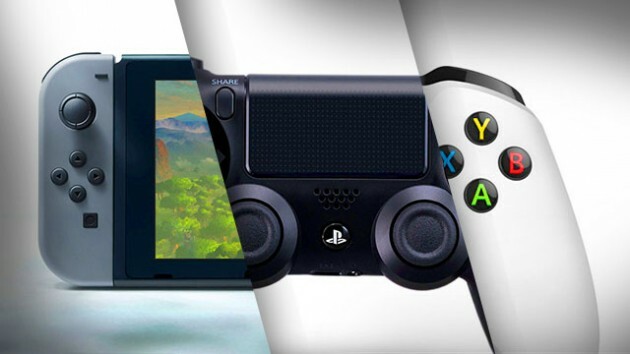 NPD’s newest report is out, and the PS4 emerged on top with a jaw dropping performance, having its best month ever in North America, period. The Xbox One had an excellent month as well, with it driving the most revenue in November of any console, and also having its best November. Nintendo’s Switch did well, and continued to drive growth in the market over last year. On the software front, Call of Duty: World War 2 topped charts, predictably enough. It did so well that it has instantly become the highest selling game of 2017 in USA, and also had the best opening for the series since Black Ops 2 all the way back in 2012. Assassin’s Creed Origins was another big winner, seeing the biggest month the franchise has had since 2013 and Black Flag. NBA 2K, Madden, FIFA, Super Mario Odyssey, and Pokemon Ultra Sun/Ultra Moon all managed to get a peak in with great number as well, while Switch exclusives Zelda and Mario Kart 8 Deluxe got into the top 20, buoyed by the performance of the system. It was, overall, a great month for the industry, as well as for every major player- now it remains to be seen if the industry can sustain this kind of performance (not with these exact numbers, but with having three healthy systems on the market) going forward into 2018.